I absolutely love coconut in any shape or form. One of the most used products made with dried coconut is coconut oil. But today we are talking about Coconut Butter, mind you this is very differnt from coconut oil. This is more like a nut butter, creamy and lushious, i can eat this stuff by the spoonfuls and i promise that youre going to get addicted too. But it can an expensive thing to buy every week. After looking at a jar of coconut butter at the grocery store for like 15 dollars for a 14oz jar. Hmmmm... nope. I was determined to make my own. Started doing some research and found out it is super easy to prepare, you do need a really strong blender. All it takes is some dried shredded unsweetned coconut, a pinch of salt and a drizzle of good vanilla and that is what really brings it together. I used my Vitmax and it worked like magic, took about six minutes to go from dry to fuild consistency. But depending on the kiind of blender you use this process may take longer, so dont be disappointed. Take breaks between blending and keep going till you see the coconut become liquid. Pour it into a airtight container and store it in the fridge. When you are ready to use it zap it in the microwave for few seconds becasue coocnut butter does hardern up at room temperature. I use Coconut Butter like i would use any other butter, on a crsispy warm toast, in smoothies and drizzle on my oatmeal breakfast bowls. The options are endless. Add the shredded unsweetened coconut in a high speed blender or food processor and put the lid on. Make sure that it is completely dry before you start. Begin on a low speed and blend the coconut till it starts to break down into smaller pieces. Stop and scrape down the sides of the blender with a spatula. Keep blending til the coconut starts to become paste-like consistency. 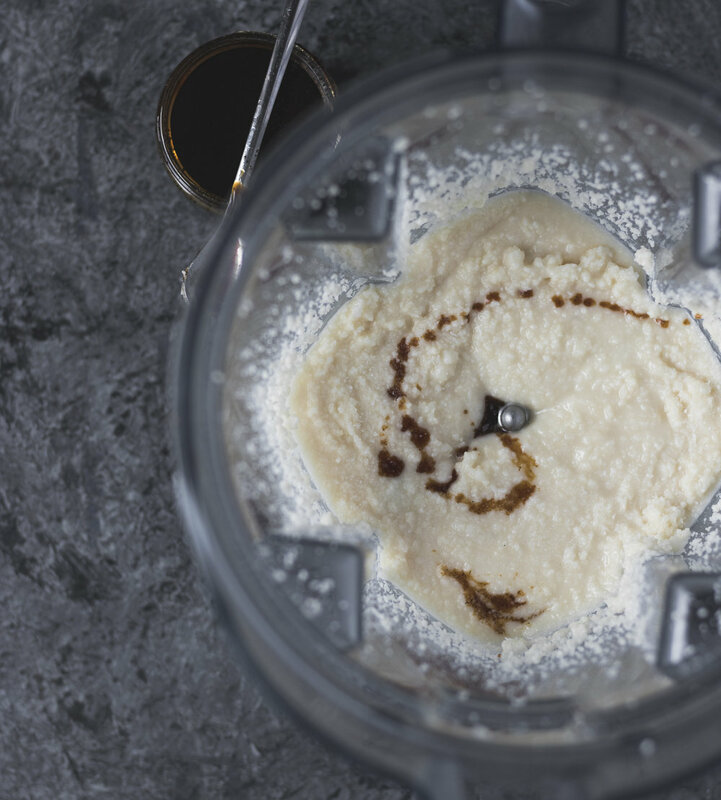 Turn the speed up and continue to blend until the coconut becomes creamy and smooth. This may take anywhere from 3-15 minutes, depending on the machine you use. 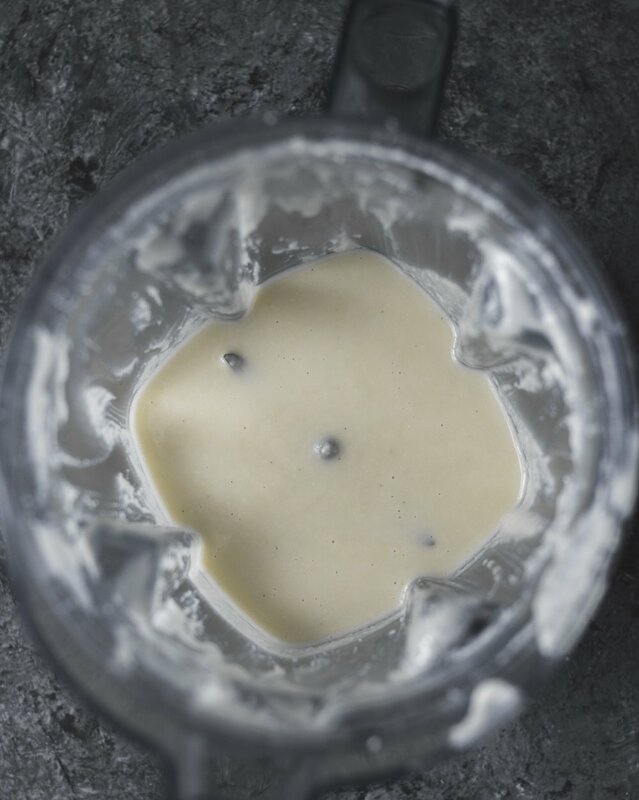 Pour the smooth coconut butter into glass jars and store in the refrigerator. You can also store it at room temperature, for a few days. But I move it to the fridge so that it doesnt turn rancid.